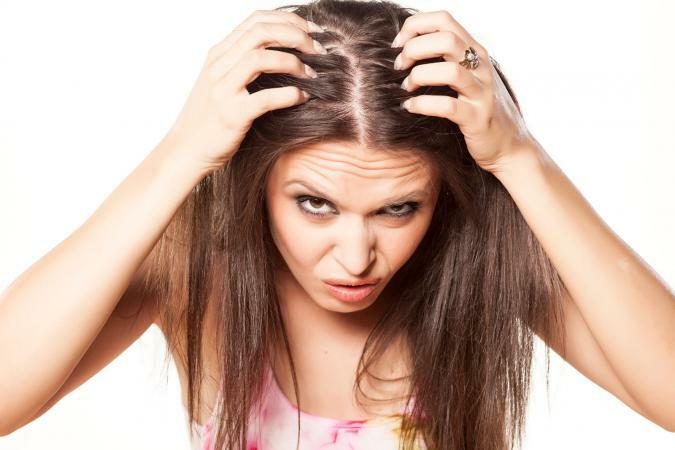 Greasy hair is not only unsightly, but it can signal an unhealthy scalp. It is important to treat oil-clogged follicles, especially if you produce an abundance of oils, use a lot of products, or have noticed a loss of hair growth. These issues are often caused by a build-up or overproduction of sebum. The oil, or sebum, that is produced by the skin is necessary. It coats the hair follicle, traveling through the pore, eventually reaching the surface. Sebum combines with lipids and sweat to form a fine, acidic coating called the acid mantle. This acts as a barrier, preventing viruses and other contaminants from penetrating the skin. It also keeps the area moist and hydrated. While its function is to lubricate and protect, it is possible to have too much. When an overproduction occurs, it can lead to acne and scalp issues. Excess sebum is often caused by a genetic predisposition, a build-up of products, or a condition like seborrhoea. According to DermNet New Zealand, seborrhoea causes a surplus of oil to be produced. It affects both males and females - and has a number of additional side effects, including red and itchy skin. How Does It Affect the Scalp? An overproduction of sebum on the scalp may result in undernourished roots. Board-certified dermatologist Dr. Marder writes on his blog, "because excessive sebum can block hair follicles and spur bacteria and fungi growth, is important not to neglect an oily scalp." When sebum builds up, it eventually hardens. Sebum build-up can also hinder healthy hair growth. The Viviscal article, "Does Excess Sebum Cause Hair Loss?" found that too much sebum affects the normal growth cycle. Essentially, hair that falls out (a natural occurrence) is not replaced like it normally would be. Clogged follicles can actually result in thinning and eventual hair loss. Dandruff is another issue related to excess sebum production. According to WebMD, "dandruff is a mild form of seborrheic dermatitis. 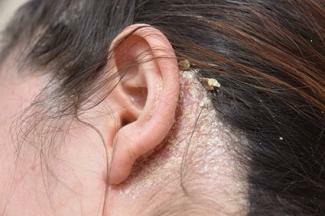 In more severe cases, you'll see a reddening of the scalp and a lot of oil." Choose hair products formulated to treat sebum build-up on the scalp. While ordinary shampoos won't do the trick, these special formulas work to soften, loosen, and eventually release the built-up. There are both over the counter products and natural remedies that you can use to help remove excess oil treat clogged hair follicles. 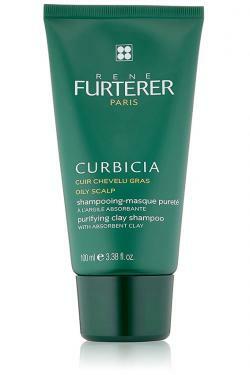 If you want to treat your oily scalp with a purifying shampoo clay mask, try a product such as Rene Furterer's Curbicia Concentrated Purifying Shampoo (available at online beauty supply stores like StrawberryNET for under $30). It will treat the scalp by deep cleaning and regulating sebum production. Regular shampoos are meant for everyday use. However, if you have a build-up on the scalp, clarifying shampoo will get it completely clean. Use a weekly clarifying product like Neutrogena Anti-Residue Shampoo (about $5 at mass merchants or Amazon.com). It treats an overabundance of sebum, removes products sitting on the scalp, and unclogs the hair follicles. A Boar Bristle Brush (about $20) helps to massage the scalp, distribute oils to the rest of the hair shaft, and reduce the amount of sebum build-up. There are many other benefits as well, including improved hair texture and reduced frizz. Marcia Brady's secret to great hair was to brush it 100 times every night. This is not a bad idea! 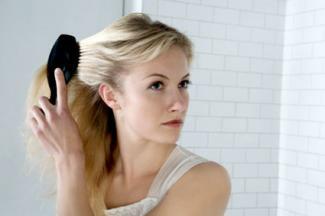 Brushing your hair actually keeps the scalp healthy. In addition to stimulating the capillaries, increasing blood circulation, and encouraging the transport of nutrients and oxygen, brushing keep the scalp's pores open. This allows them to "breathe" and retain a natural amount of oil. New Health Guide adds, that regular brushing "eliminates waste materials from your hair, including uric acid crystal deposits, catarrh, and other acids and impurities that gather and stick to the scalp." Keep in mind that too much stimulation can cause the scalp to produce even more oil, which you want to avoid. Maintain a good balance of gentle brushing but avoid roughly tugging on the hair. Tea tree oil is an effective remedy for many annoying skin conditions. Home Remedies for Life states that it has "natural antifungal, antibacterial, antiseptic, antiviral, and anti-infection properties" that work well on the hair and scalp. 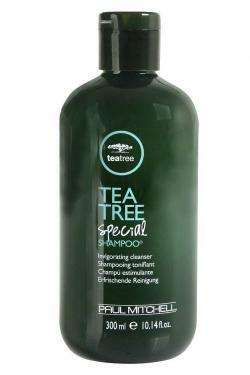 For best results, look for a shampoo, like Paul Mitchell Tea Tree Oil Shampoo (about $15) that already has tea tree oil in it, or make the shampoo by adding in drops of tea tree oil. According to Top 10 Home Remedies, baking soda is able to absorb oil well. This makes it an effective at-home option. There are a few different ways to make use of this treatment method. If you want to continue using your daily shampoo, simply mix in equal parts baking soda. You can also use it as a shampoo, by mixing one part baking soda to two parts water. To use as a dry shampoo, massage into your scalp well, then brush with a bristle brush until the baking soda is gone. Depending on what you have done to remedy the condition of your scalp (and how serious the situation is), you may need to make an appointment with your doctor. Poor nutrition and the use of certain medications may be affecting your hair health. If the scalp is burning or itching excessively, ZocDoc recommends seeing a dermatologist or your primary care physician. A professional can help relieve any concerns you may have about hair loss, an itchy scalp, redness, or excessive oil production. The sooner you get answers, the better. Sebum-clogged hair follicles can cause a range of problems, from mild acne to severe hair loss. With a few simple remedies and proper scalp care, the healthy properties of sebum can be fully enjoyed. To reduce the risk of a problematic build-up in the future, take care of your scalp, brush often, and make time to deep clean.